In this fourth volume of the series, editor J. Matthew Gallman includes sixteen pioneering essays by Daniel E. Sutherland , Gary Gallagher, James Marten, Alice Fahs, and other scholars that examine the Civil War home front. Topics include voluntarism; science and medicine; communities at war; recruitment and conscription; welfare, dissent, and nationalism; and literature and society. Gallman’s introduction assesses the significance of each article in providing a clearer understanding of the era. Eugene C. Murdock, Was It a Poor Man’s Fight? AuthorJ. 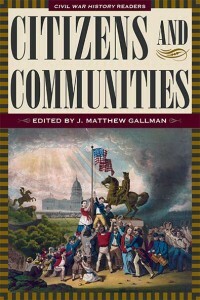 Matthew Gallman has been writing about the Civil War for more than twenty years. His books include Mastering Wartime: A Social History of Philadelphia during the Civil War, The North Fights the Civil War, and Northerners at War: Reflections on the Civil War Home Front (The Kent State University Press, 2010). Gallman is professor of history at the University of Florida.